Mill’s decision to stop shipping via rail prompts Pan Am to say it’s no longer economical for the railroad to operate north to Anson. MADISON — Freight transportation along a segment of a rail line has come to a halt following complaints about outbound service being disrupted by train derailments, while local businesses are saying the stop has been costly and forced them to search for alternative modes of transportation. 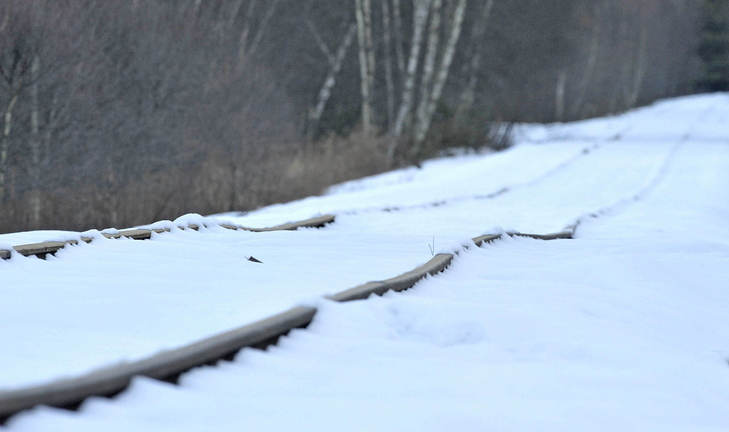 Officials at Pan Am Railways said Thursday that they no longer are providing service to a 26-mile stretch of track north of Oakland through Madison and on to North Anson, in part of which the state in recent years invested more than $500,000 to keep the tracks open. Madison Paper Industries historically has shipped most of its products on Pan Am and been its largest customer north of Waterville. However, the Madison paper mill no longer is using the railroad after numerous derailments during the last several years that have caused delays in delivering paper products to customers, said Russ Drechsel, president of Madison Paper. Pan Am, in turn, said it doesn’t make financial sense for the railroad to continue to service the rest of the track north of Madison because without the business of the paper mill the Massachusetts-based company would not make enough money to cover the cost of maintaining that section of track, said Cynthia Scarano, executive vice president for Pan Am Railways. Scarano would not comment on why the paper mill no longer uses rail service. The decision by the mill and the effect on the railroad — unforeseen by state and local officials — means that smaller business customers on the line no longer will be able to use the service out of North Anson and are being forced to explore alternative and more expensive shipping options. Cousineau Wood Products and ARC Enterprises both said they were notified by Pan Am about a month ago that they would not be able to be serviced at the North Anson station, officials said. “We need the railroad. There’s no way we could do what we do without them,” said Walter Kilbreth, president of ARC Enterprises, a manufacturer of steel bridge beams in Kingfield that employs about 30 people. Without service to the North Anson station, where the line ends, Kilbreth said the company is bringing shipments of large sheets of steel, some as large as 85 feet long by 10 feet wide, via truck from South Portland, a distance of 90 miles. 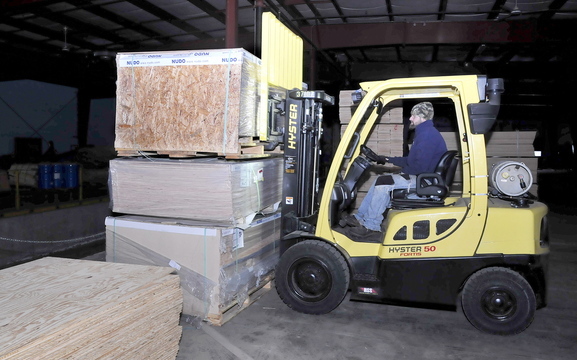 Brody Cousineau, vice president of Cousineau Wood Products in North Anson, said the change in service is a financial burden on his company, which now relies on the transportation of raw materials from a loading station in Auburn via truck. He estimated that costs about an additional $500 per load. Cousineau also employs about 30 people, but his business is one of the larger employers in North Anson and recently applied for a federal grant that would allow it to add 10 more jobs. Madison Paper Industries, which is also one of the larger employers in the area, provides jobs for about 225 people. “We’re still working on determining what the exact cost is. It’s fairly fresh and we haven’t figured out what the most economical alternative is for us,” Cousineau said. He said the company expects to lose money from land that it leased to ARC for loading and storage at the rail yard as well as increased cost in bringing raw materials of plywood from the south. Cousineau said he doesn’t blame the paper mill or the railroad company for the change in service, and acknowledged that without the paper mill there is no chance that the two smaller companies could support the rail traffic. The scenario, however, is very different from what was expected when the town of Anson and the state invested millions of dollars in railroad repairs less than a decade ago. In 2004, the town of Anson applied for and received a $563,000 grant from the state for repairs to the track between Madison and North Anson. Under the agreement, the town was to contribute an equal amount, bringing the total funds for the project to more than $1 million, said Nate Moulton, rail director for the Maine Department of Transportation. Pan Am, known at the time as Guilford Rail System, agreed to provide the local funds for the railroad through an agreement with the town of Anson. According to the agreement, Pan Am was required to use and maintain the reconstructed part of the railroad for 10 years following project completion. According to Scarano, the track is still in service, but shipping to North Anson would not be an economical decision for either the railroad or the smaller companies. She said the railroad is working with Cousineau and ARC on finding other locations where they can load and unload products. She also said she hasn’t heard anything about the tracks being in poor condition. The 26-mile stretch is Class 1 track, which is the second-lowest classification in the Federal Railroad Administration’s system for determining the speed at which trains can operate. Freight trains cannot operate above 10 mph on Class 1 track. Anson administrative assistant Robert Worthley said Thursday that the lack of service to North Anson was disappointing to the town, which in 2006 worked with Pan Am and the state to complete more than $1 million in track repairs to the stretch between Madison and North Anson. The reconstruction projected failed to revitalize the area’s economy partly because no money was invested in the stretch of rail line south from Madison to Oakland, Worthley said. He said investments in the initial project by Anson taxpayers were minimal, but the town could be forced to pay part of the state’s investment back if rail service is discontinued. The town is accountable for the money, even though it has no control over the operation of the railroad, because as the applicant on the grant it signed a contract with the state saying it could keep a commitment to running the railroad, according to Moulton, the state rail director. Scarano said service could resume if there was a customer that could provide enough traffic to maintain the line. At the peak of railroad usage about five years ago, Madison Paper was shipping about 170,000 tons of paper products, or roughly 2,000 rail cars per year, Drechsel said. ARC Enterprises was using 30 to 40 cars per year, according to Kilbreth. Cousineau said his operation used about 100. Although the mill is not shipping via the railway, the company still considers that an option, Drechsel said. According to the Federal Railroad Administration, which oversees operations and safety on the nation’s railroads, there have been nine derailments reported in the state this year on all lines. However, railroad companies are required to report only derailments that occur at a public road crossing or cause significant damage, death or injury, according to the administration’s guidelines. Drechsel would not give a specific number but said the paper mill has counted more than nine derailments in the last year on Pan Am’s railways. Having rail access is important to attracting new business, Worthley said. He said he doesn’t blame the railroad or Madison Paper Industries for the lack of service. At the time the grant was applied for in North Anson, a West Coast company had expressed interest in expanding its business at Cousineau’s business, but the company did not want to go ahead with the project without guaranteed access to a railway.